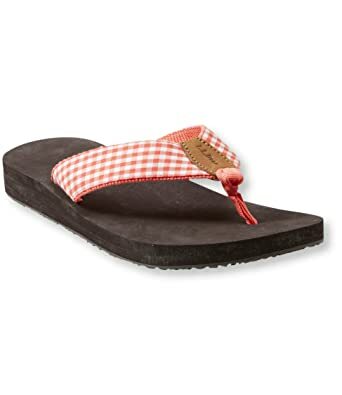 Try not to faint with surprise, but I bought a brand spanking new pair of flip flops from LL Bean in this cute orange and white gingham design. (Hey, I had a coupon!) I have had several pairs of theirs over the years and they hold up forever, plus are super comfy for walking in. 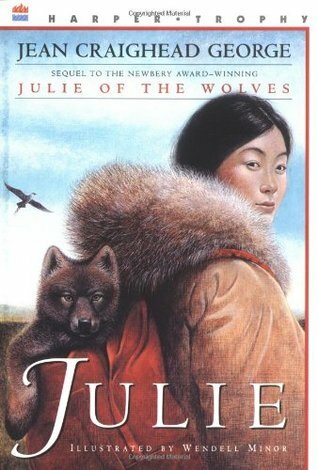 *Julie of the Wolves. This is our read aloud book at the current moment. I used to love all of the survival tales (Hatchet, Island of the Blue Dolphins, My side of the Mountain, etc) and this is one that I am now sharing with my kids. 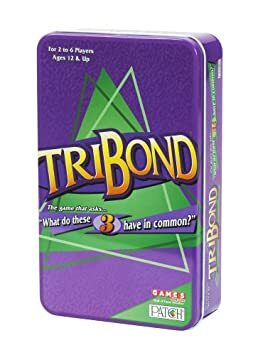 *Tri Bond. We inherited a copy of this game from somewhere and just started to get into it. Some questions are easy, others you really have to think about. A nice spin on trivia games. *Iced tea, iced coffee...basically any of my favorite caffeine in iced form on especially hot days. *Ice cream. 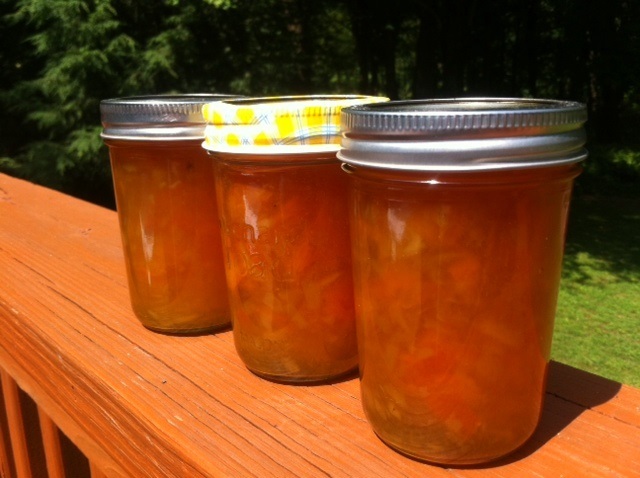 Unfortunately, this is my personal kryptonite, especially in the warmer months. Can. Not. Resist…. *Our garden. Many of you know we do a huge garden every year over at my in-laws’ farm, and this year’s is no exception. A lot of work, but we love getting fresh veggies out of it all the time. *Skirts and sundresses. I don’t own many shorts anymore and have taken to skirts and comfy sundresses quite a bit. This is because a) skirts are more comfortable to me and b) I think I look terrible in shorts. Personal opinion. *A clearer schedule. Hasn’t happened much yet in the week since school finished up, but next week and beyond look much MUCH better!! Yay!!! Forgive my randomness, but I am putting up just a variety of pictures taken this summer. They are not in chronological order, but capture some things I would like to remember this summer by. 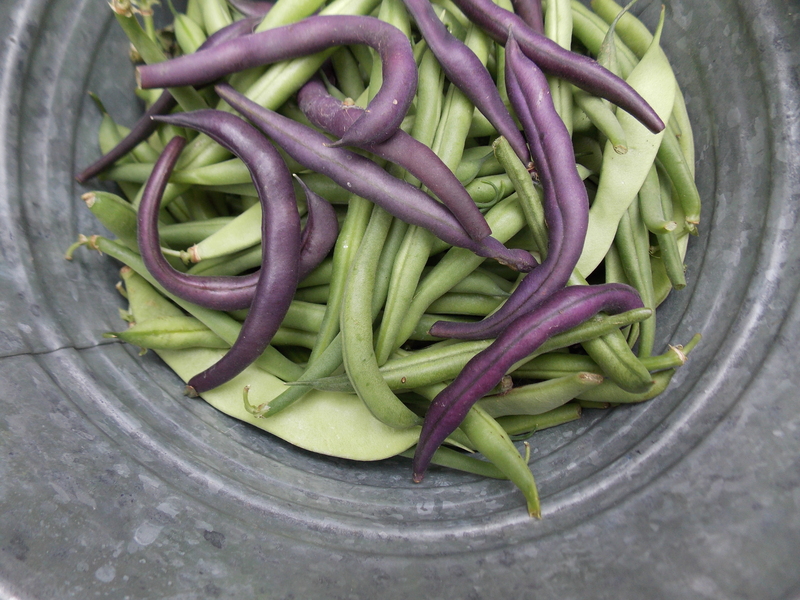 One small sampling of the many green beans (and purple beans) we picked and then froze. 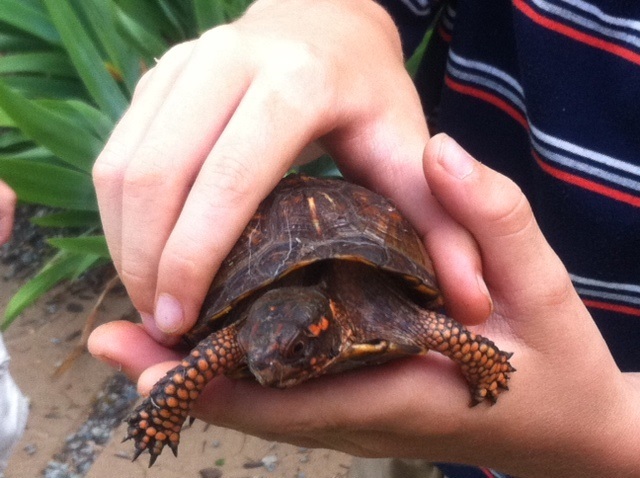 A cute little turtle that my husband found when mowing and “rescued” for my kids to fuss over for a few hours. They then released him back into his habitat. 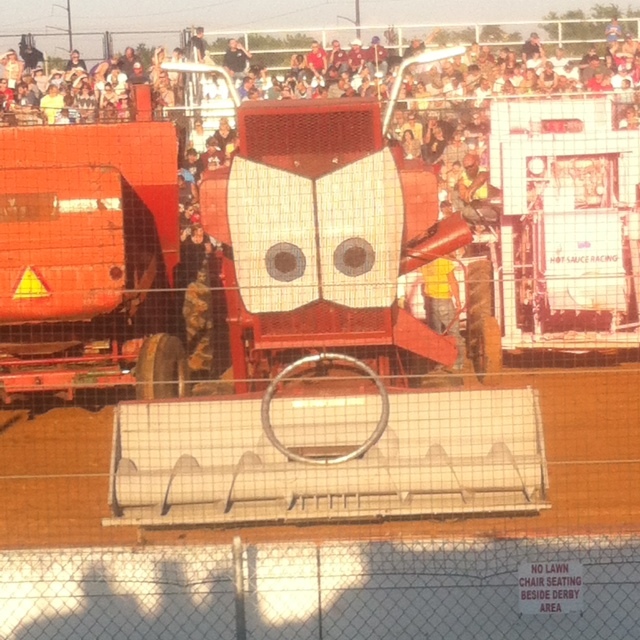 I had the fun experience of taking my twins to a combine demolition derby. (Yes, such a thing does exist. I live in southern Lancaster county, this is what we do for fun;))This was one of their favorites. Do you recognize what movie he comes from? My older boys were learning the art of doing lashings and made me a cool trellis-type thing for some of our tomato plants. A spectacular batch of spaghetti sauce, probably our best ever. We’ve learned that using a giant can of tomato paste thickens it up perfectly. Roasted garlic also adds a nice touch! I don’t think I’ve ever taken a selfie until this past year (and no I haven’t taken hardly any, I think it’s slightly narcissistic). To the young folk this is apparently a life skill. This one was at one of my favorite ice cream haunts. Because ice cream is very important to me. Amen. 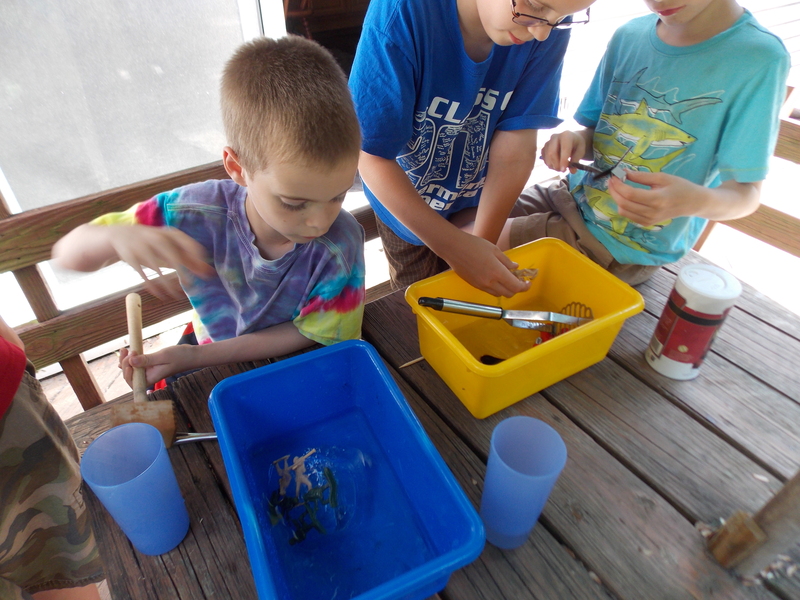 Each of my kids had a chance to attend summer camp, even my little boys. We are fortunate to have a fabulous Christian summer camp just a few miles away from our home. They all had a grand time! Our family vacationed at Black Moshannon State Park, in central-ish PA. We rented a cabin within the park for a week, which is what we did last year at another State Park. On the day we left we also celebrated our fifteenth anniversary, Woohoo!! 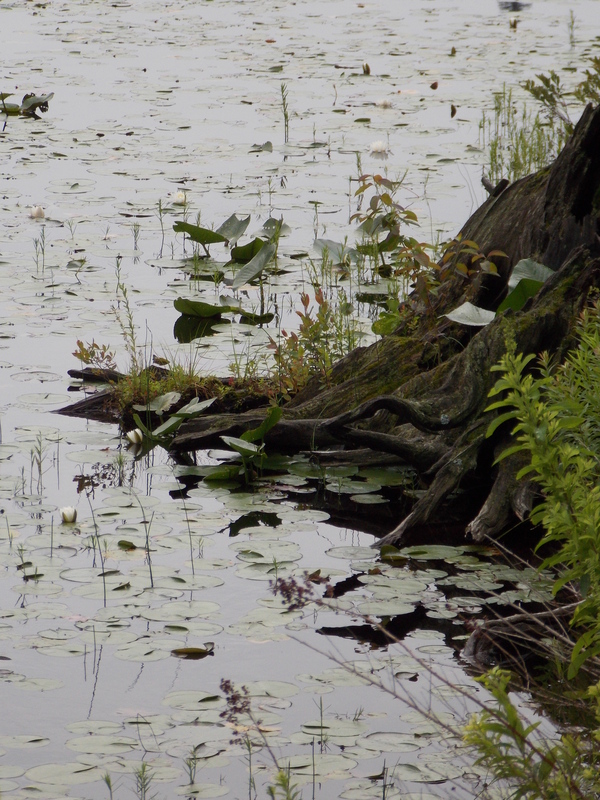 Just a little snapshot of the lake at the park. The water really was almost black, but not dirty. 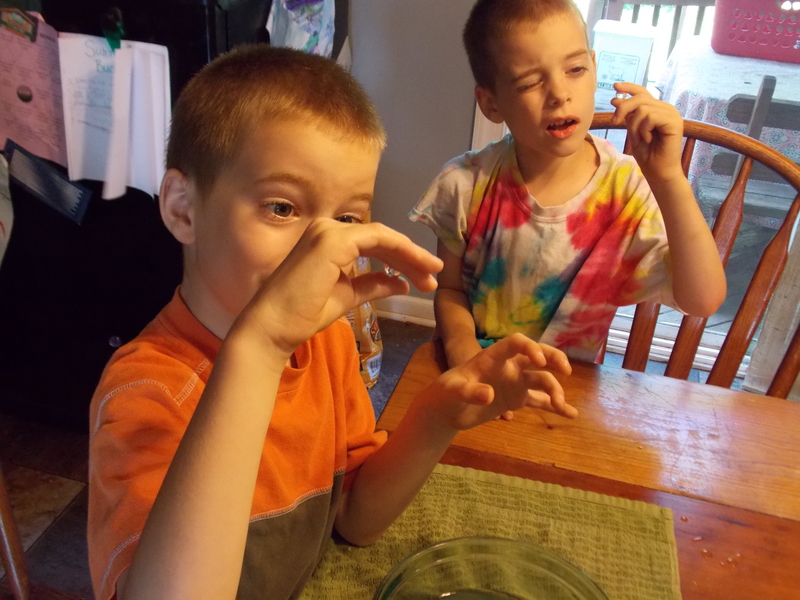 Two of my kiddos picking lima beans. A cowboy themed party we attended just last weekend for a friend’s birthday. They had a little photo area where my hubs surprised me by pulling this off. Probably one of the best pictures of us ever! What can I say? We do still enjoy smooching on each other. Another snapshot of the shooting range at the same party. My crew was all over that! Well, August is literally right around the corner and we’re starting the back to school countdown in our house. Today I am sharing a little idea that I actually did the first week school was out and it is one of my favorites. 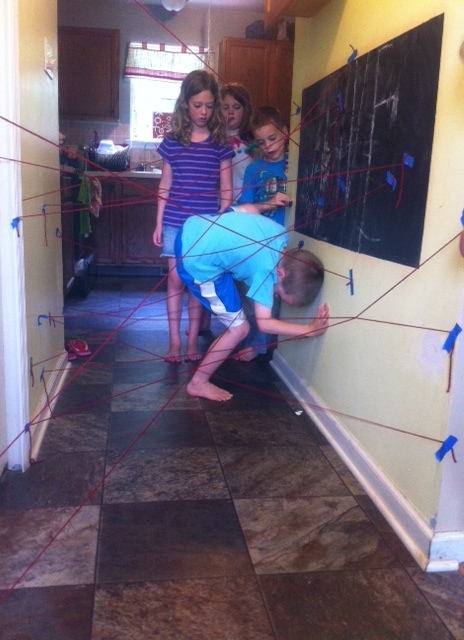 Think obstacle course mixed with a little spy/secret agent intrigue. It would be a great one to break out on a rainy day or when the kids are bored to death and driving you bonkers. 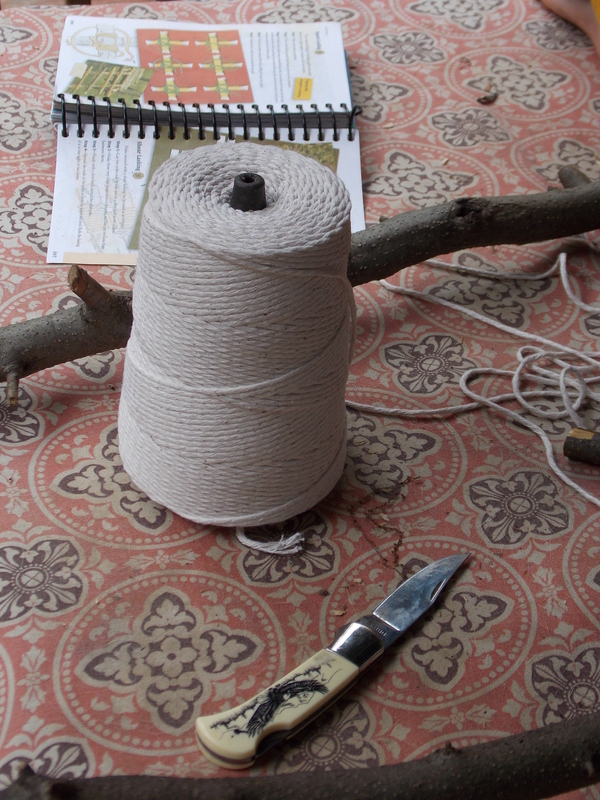 All you need is a ball of yarn, scissors, painter’s tape, and a hallway area. I placed them at varying heights and at different angles so they would have to maneuver through them all to get from one end to another. We started out with some yarn lines, then as everyone had a turn, I stepped it up a notch and added more lines to make it more challenging. My older kids obviously had a harder time as their bodies are much bigger. The twins, who are still little and wiry, did a pretty good job of it. 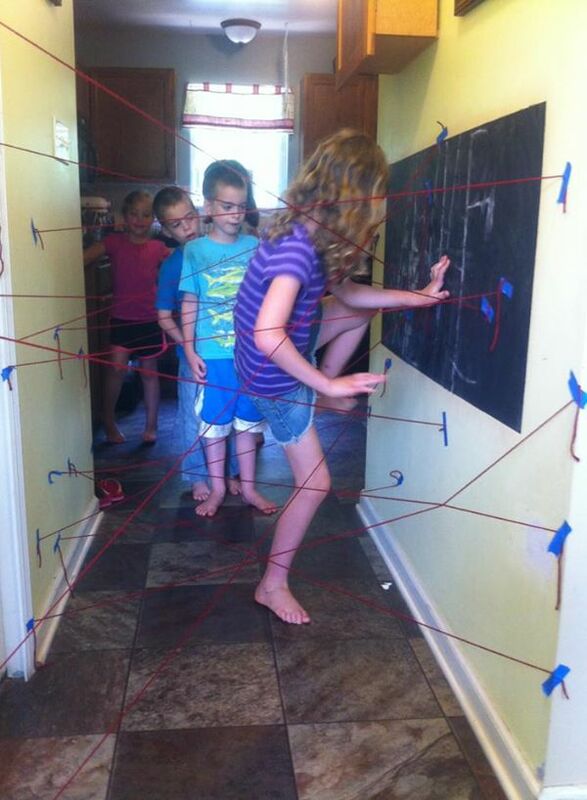 My 8 year old niece, who is also very wiry and flexible, was the only one who didn’t eventually knock down a yarn line. When we were all done I let her run through them and knock them down for fun. Overall, a fun way to kill some time and get those little minds and bodies working. Today’s idea is one to bust out on a hot day when the kids are bored or looking for something different to do. Anyway, back to today’s little idea. The idea is super simple and easy. 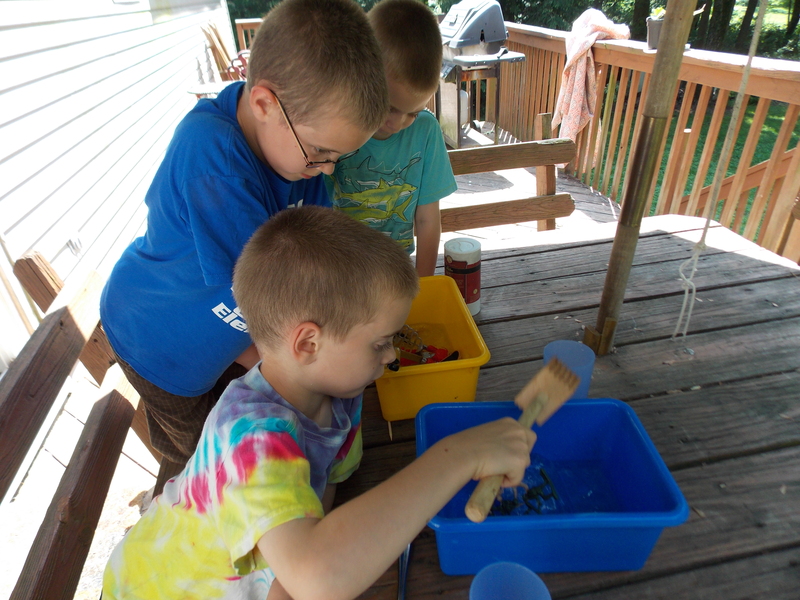 Take a large container, fill it with water, and then add various toys to it. Freeze for a number of hours until everything is solid. Give your kids some “excavation tools” and let them go at it. We used a variety of kitchen utensils. 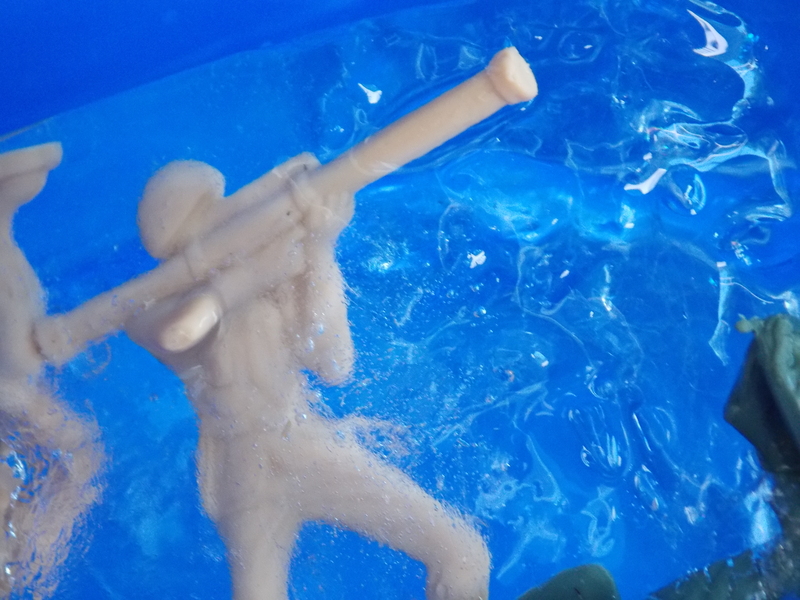 The goal is to excavate all of their toys out of the ice. They can also experiment with salt to see if that expedites things. Unfortunately I didn’t get any pictures from when everything was solid, but you get the idea. 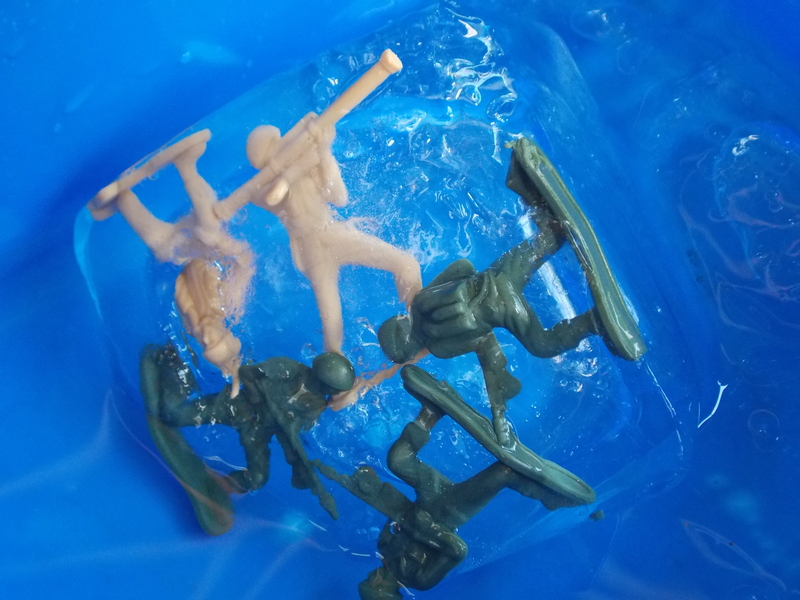 My little boys really enjoyed this, especially since I let them pick what toys they wanted to freeze, then did a separate container for each kid. As you can see, army men were the prime choice for one of my guys, but they can put in about anything. Well, that’s all I have for now. Hope you’re having an enjoyable summer! SO…we’re a full week into summer break and everyone is pretty much transitioned by now. Even with everyone home with me 24/7, it has actually been sort of relaxing. Yes, I kinda did, and I’m quite enjoying it too. I’m also enjoying not having to run around to so many activities as well. One day that we did have some errands to run we hit a Dollar Tree store to check out a couple of things. While there, we saw these little bottles lined up and thankfully I stopped to really look at them. I remembered seeing something with these guys in a summer boredom playlist. A light bulb went off in my head and I promptly popped a bottle in my shopping basket. One of the best bucks I’ve ever spent, my friends. 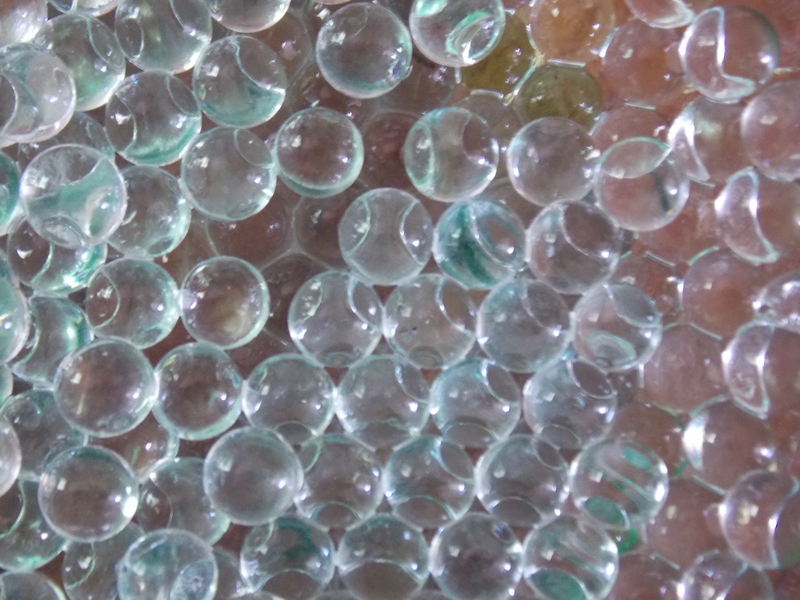 They’re called aqua beads and they kept some kids occupied for long periods of time. Heck, I couldn’t resist and was playing with them too. Fresh out of the jar they look like clear glass marbles. 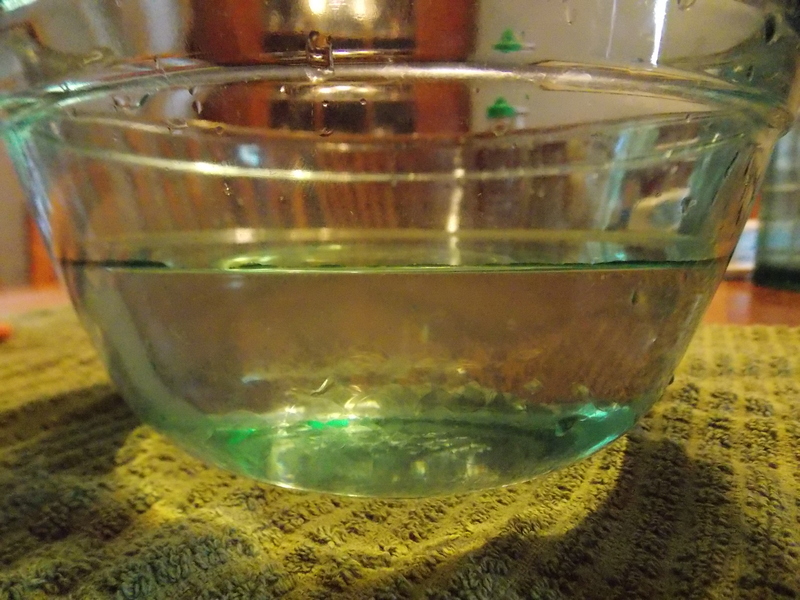 These I had poured into a greenish glass bowl, hence the light green hues. They are really very clear though. Though they look like glass, these little wonders are actually quite soft and squishy, but don’t easily break. 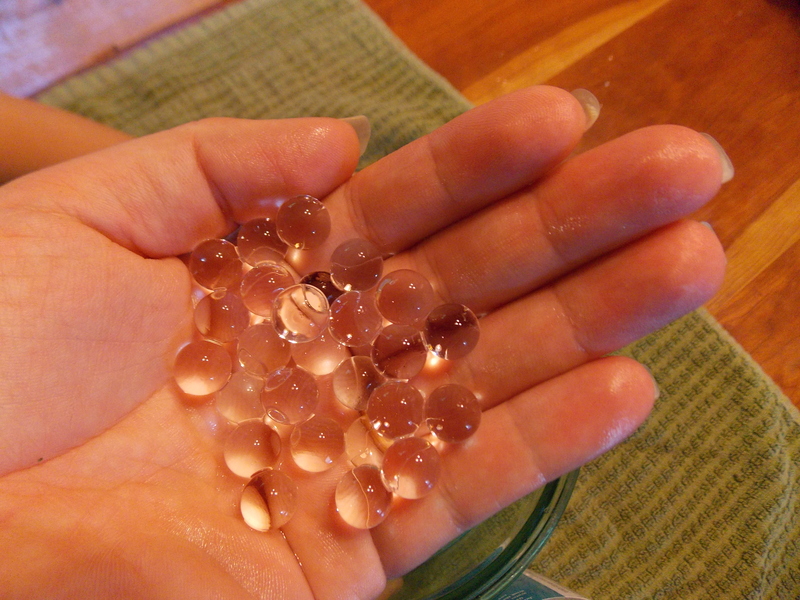 Here’s what they look like in my hand, before being submerged in water. 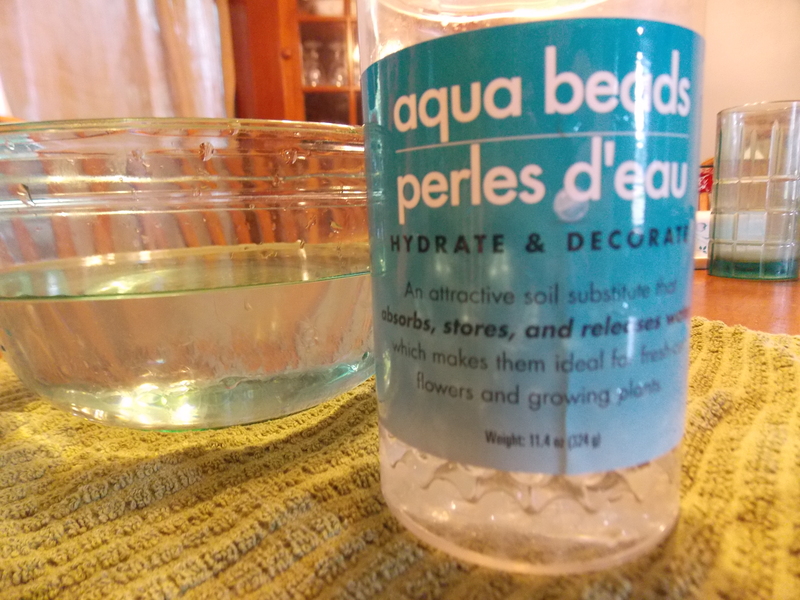 Now here’s what a bowl full of water + aqua beads looks like. They all but disappear in the water. If you look close you can see some roundish shapes. Pretty cool, eh? The little boys really enjoyed these too. Notice I threw a towel down under the bowl? Yup, I’m on top of things like that, ha ha. Never mind the fact that a couple hours later I stepped on a couple of wet squishy items in my bare feet. Overall I would recommend getting these as maybe a rainy day activity or just a little something to add to a Mom’s summertime bag of tricks. They are great for sensory play, I would just use caution with really young kids as I would think they may be tempted to pop one into their mouth. And, as I said earlier, I have no idea what they’re really made of. (Ask Andrew though and he can tell you;)) I found them at the Dollar Tree in the crafty aisle with floral arrangement stuff. 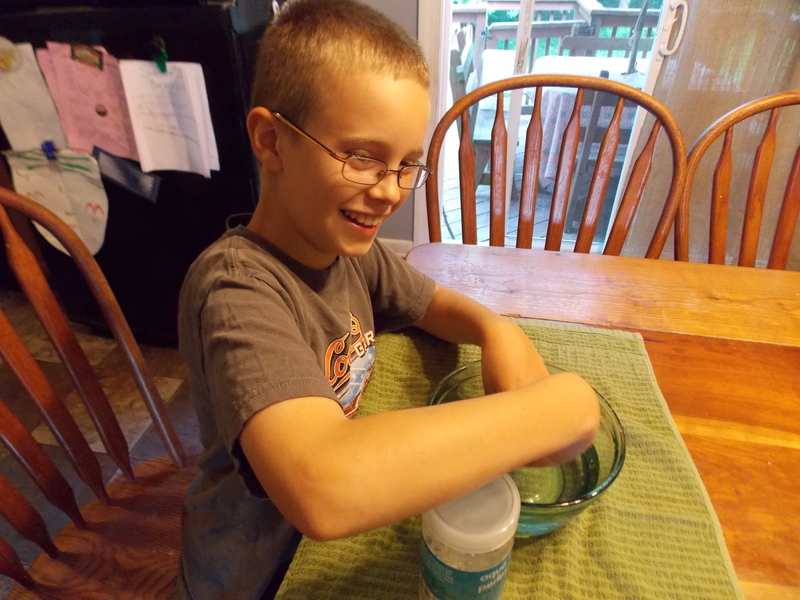 Stay tuned for some more summertime kid activity ideas! We had a most beautiful Memorial Day here. The weather couldn’t have been more perfect and we took full advantage of it. For dinner we had a great campfire meal of burgers and cowboy beans, along with a couple of other things. Oh yeah, and some yummy s’mores to top them all off. I had really, really missed burgers cooked right over the fire and hadn’t had any since last fall. To take them to a whole new level, I decided to make my own rolls to accompany them. Oh.My.Goodness. They did not disappoint. 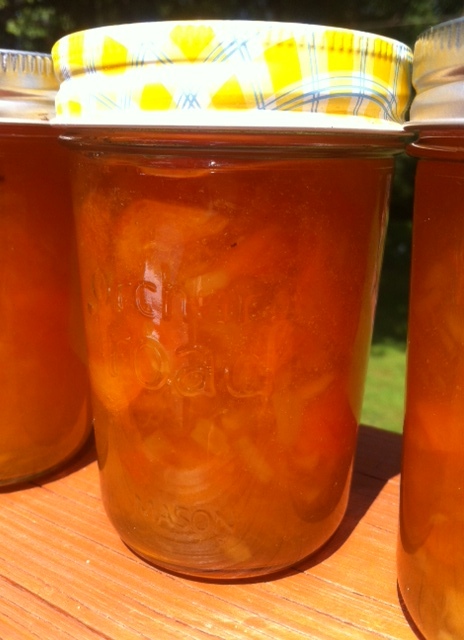 These are not hard or really too time-consuming to make and are really worth the extra effort. Mix together yeast, sugar, and water. Let sit for about 10 until it gets nice and bubbly. Add in the rest of the ingredients (except for egg!) and mix and knead really well. Place dough ball in oiled bowl and let rise in a warm location for about 1 hour. Divide into at least 8-10 pieces and form into roll shapes. (I rolled out the whole dough ball so it was pretty thick and just used the top of a cup to make circles.) Place on baking sheet and let these rise for another hour. Preheat oven to 375 F and brush top of rolls with egg wash. Bake for 12-16 minutes. Let cool and then slice in half before serving. 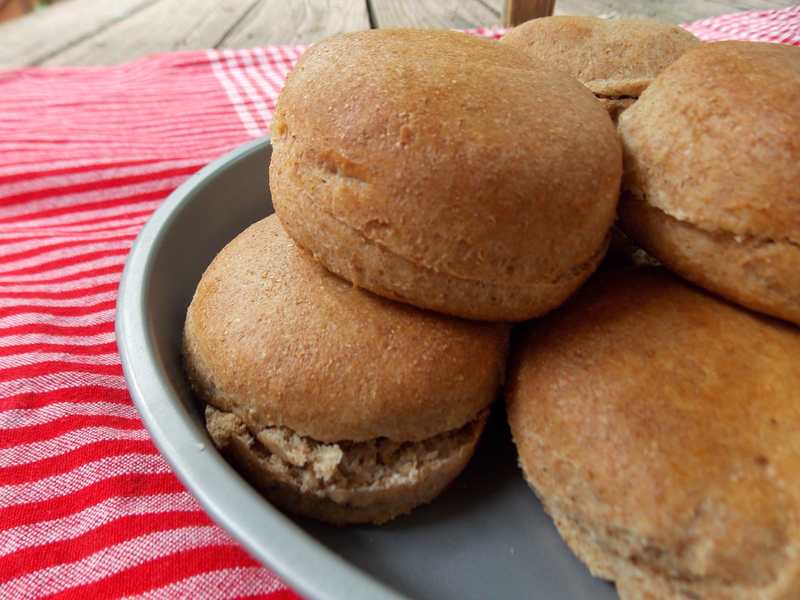 When I make these again, I may be tempted to do a double batch and then freeze a portion of them for future meals. 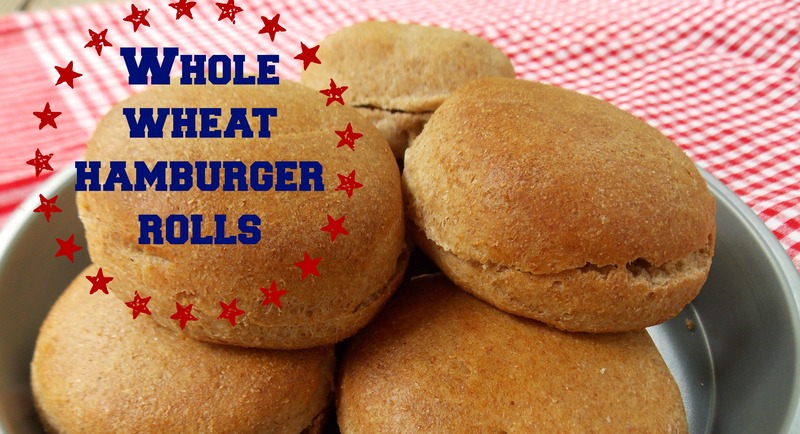 I would also like to use the same recipe and make hot dog buns as well. Summer is almost here, so enjoy!